Forward-thinking design. Precision engineering. Trusted reliability. It’s what we do. For generations, anglers across the globe have put their trust in Abu Garcia. Decades of experience and an unrelenting pursuit to develop the world’s most advanced fishing gear are what drive us. 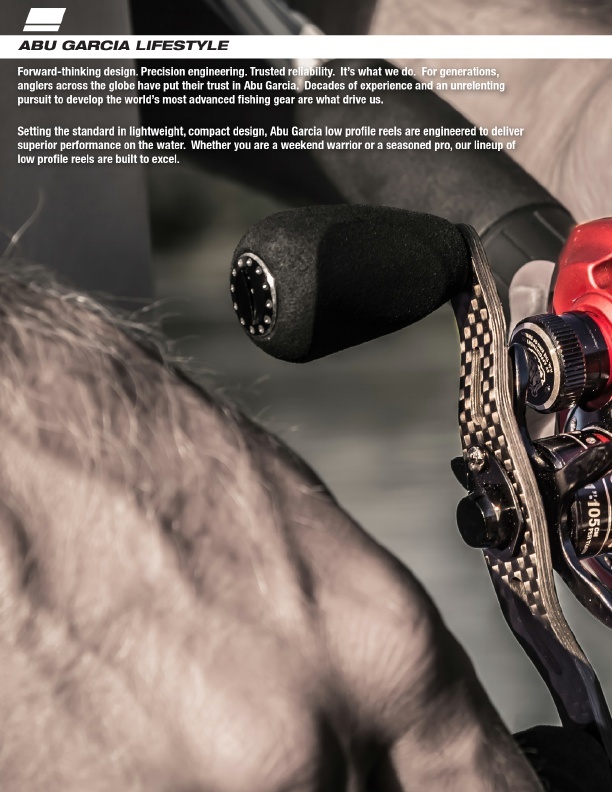 Setting the standard in lightweight, compact design, Abu Garcia low profile reels are engineered to deliver superior performance on the water. Whether you are a weekend warrior or a seasoned pro, our lineup of low profile reels are built to excel.